I actually “met” Courtney on Twitter, so I thought I would share my thoughts on how important it can be to have fit friends and to be a fit friend to others. When I first started off on my fitness journey, I was a newly minted attorney working full time at a new job and trying to shed the unhealthy weight I put on during law school. My husband was supportive of my efforts to lose weight, but with two school-aged kids it was hard enough for us to squeeze in an occasional date night, let alone workout together. I found my first fit friends in an on-line weight-loss community, and was amazed at how motivating and encouraging it was to have a group of women to share goals, successes, and struggles with. I am still friends with these women 15 years later, and while we keep in nearly daily contact through social media, we also have taken our fit friendship off-line, and gotten together for weekend getaways filled with talking, laughter and a healthy balance of exercising and indulging! I found my next core group of fit friends on Twitter, after stumbling across the #fitblog and #runchat hashtags. I started following and tweeting with people with similar fitness interests and realized that no matter how early I got up to exercise, I was not alone, and no matter how hot/cold/windy the weather was for my run, someone else was braving the same (or worse!) weather to stick with their training plan. (I’m pretty sure Courtney and I first bonded over DC weather woes! ed note: we did!) It is fun to come across new runners and offer them encouragement and tips, and cheer them on as they discover that they really are stronger than they think. Thanks to Courtney, I also have a new group of “real life” friends, through Moms Run This Town (MRTT), which is a national running club for women (you don’t have to be a mom!). I joined my local MRTT group and discovered an amazing group of women who are willing to meet up for group runs at all hours and in all weather. I’m really not sure I could have made it through this winter without this group of fit friends! The more I realize how important my fit friendships are to my own well-being, the more I realize that I need to be a fit friend to others. While it’s easy to go running or spinning with my fitness-fanatic friends, I also need to take the time to go walking, hiking, and bike riding with friends who are just starting out on their fitness journeys, or who are taking it at a slower pace. We’re all busy, but meeting for a walk through the park instead of latte and scone is an easy way to be a fit friend. Do you have friends who support your fitness goals? Are you a fit friend to others? Thanks for letting me post today! Great timing since I got up at 4:30 to meet some MRTT women at the track at 5:15. They are some bad a– mother runners! Oh I so agree! It has met so much to me to have both online and IRL friends who support my goals and who I can cheer on. Thanks for sharing, Coco! Have a core group of fit friends to help support you is key to keeping on track with your goals. And the virtual friends I’ve met online have been invaluable to helping me grow as a runner! Yes! I definitely have more fit friends on line. They were especially important when I started out losing weight — it was easier to be open and honest about my struggles with people who I didn’t have other relationships with (work, family, etc). Great post! I’m checking out MRTT now! Lindsay recently posted…Call for Guest Posts! Having friends who understand and support your fitness goals is so huge. Yes, fitness and friendship can go both ways. Sometimes friends who aren’t supportive can make you feel bad (intentionally or otherwise) for opting for a workout instead of happy hour. I started my blog because I don’t really have friends that are interested in fitness, although my sister is now running races with me! 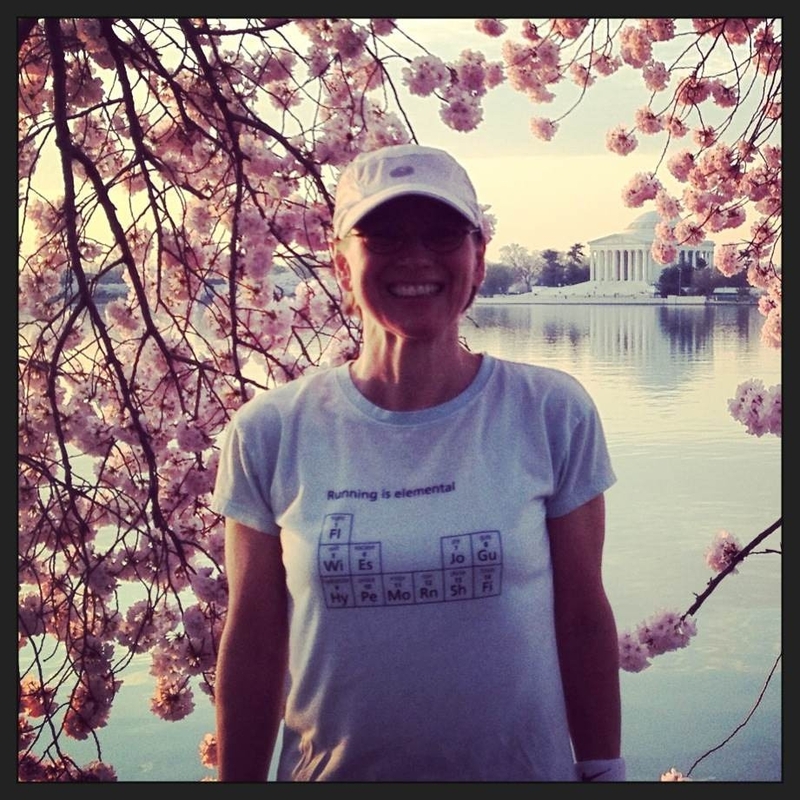 I am completely envious of all DCers who will be running among the cherry blossoms this weekend! (and all the tourists, but that’s another issue).